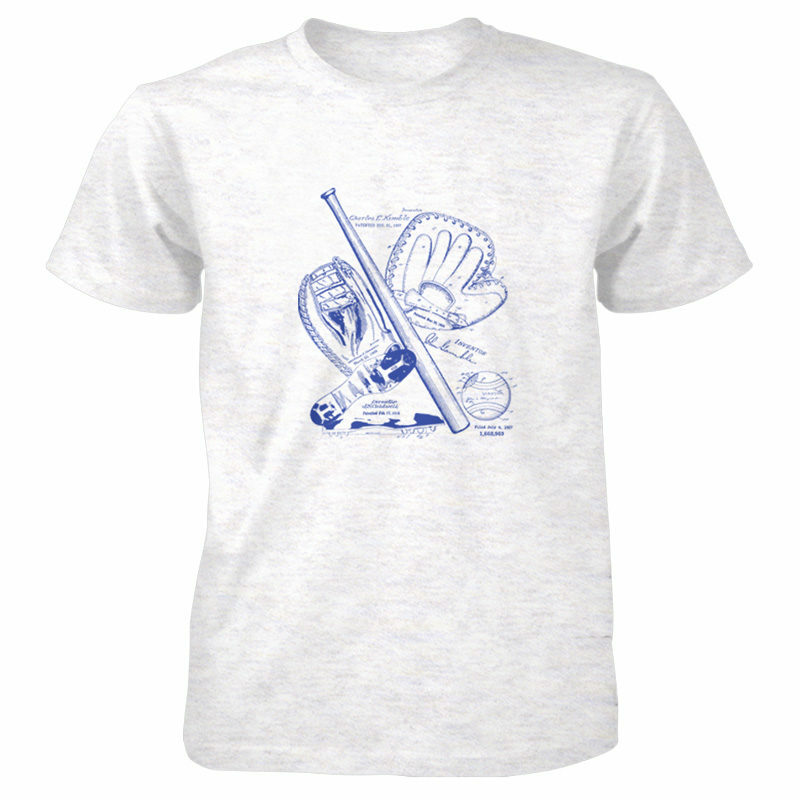 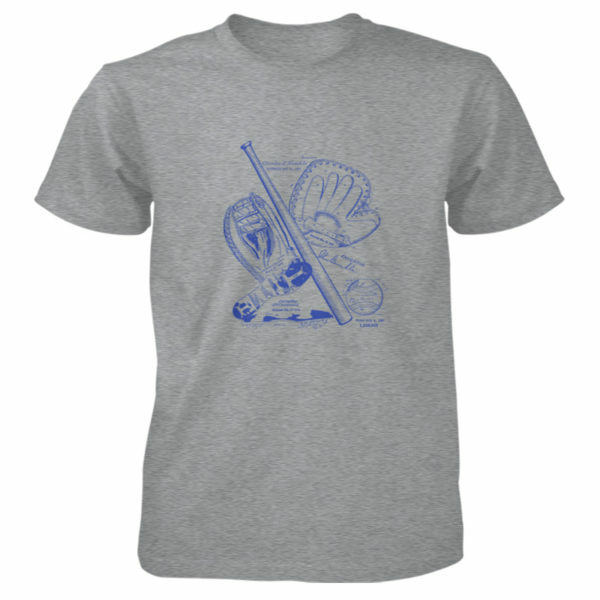 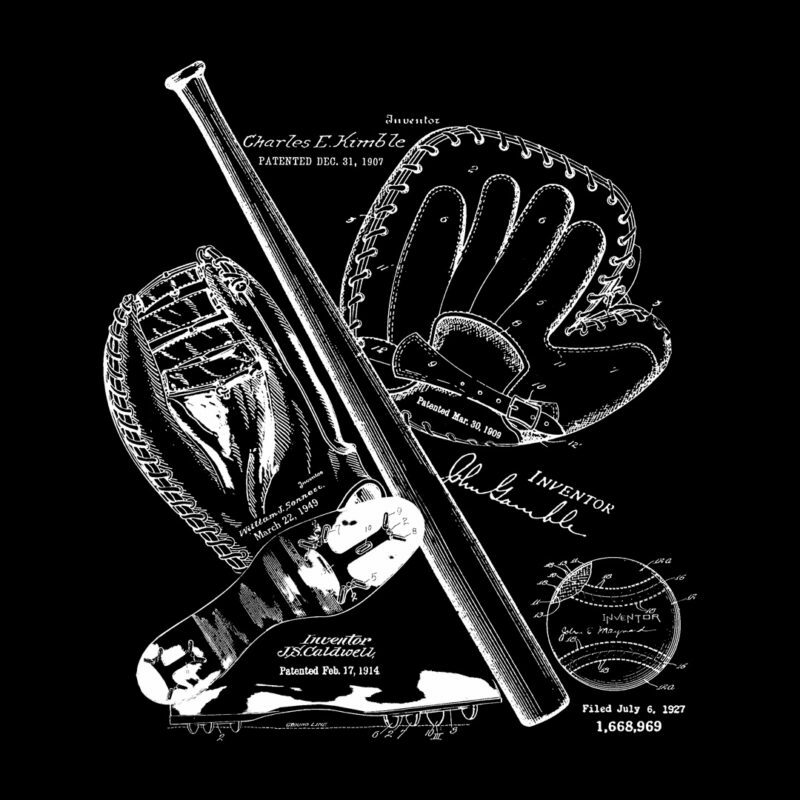 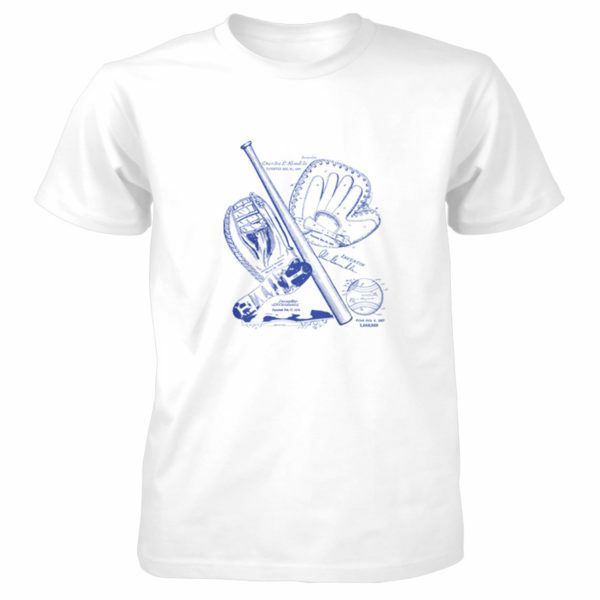 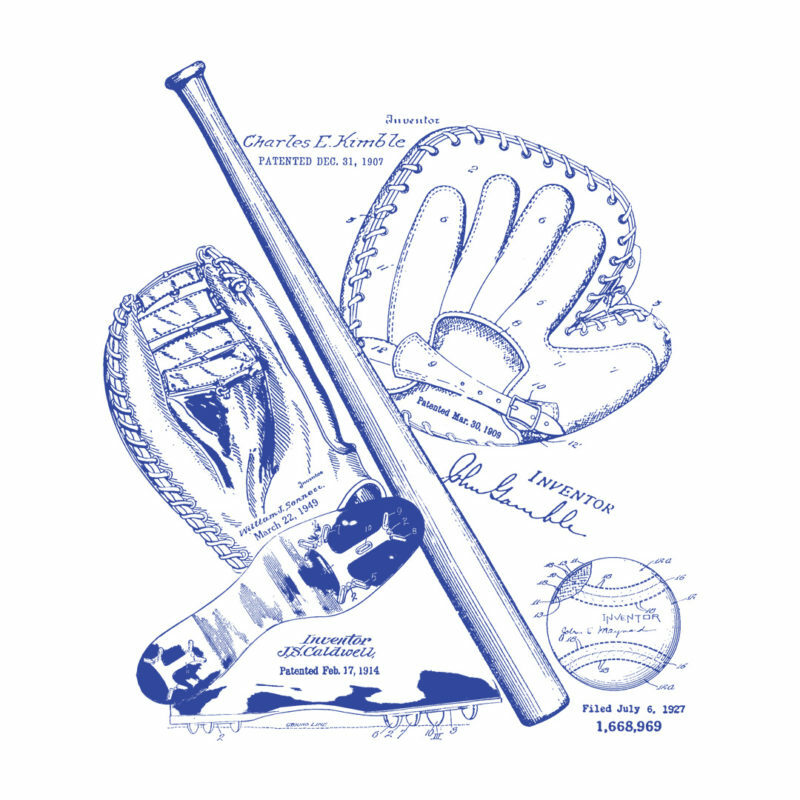 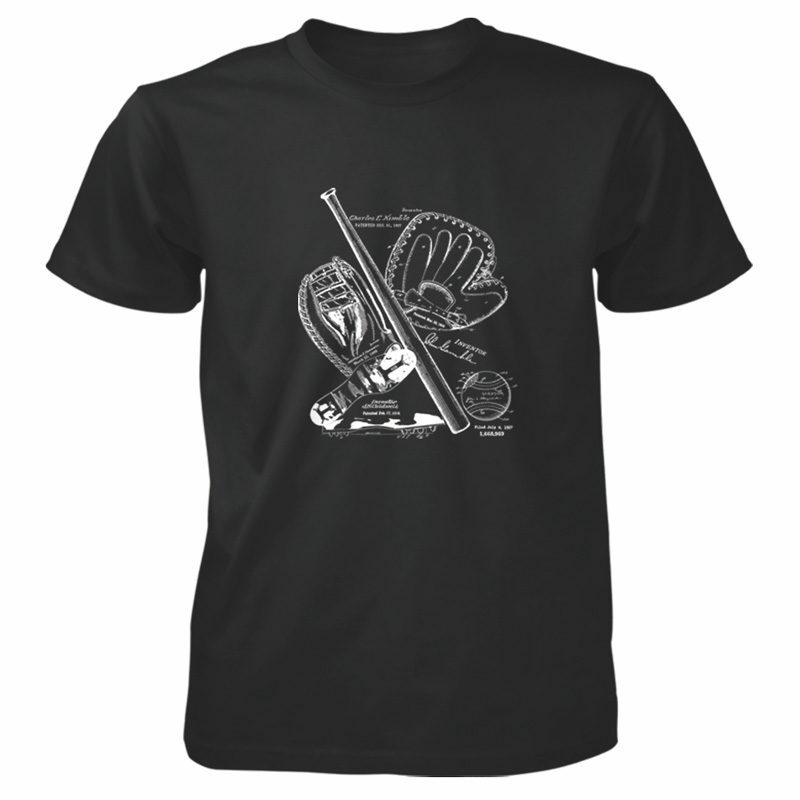 PatentWear’s original Museum Series Lineart Baseball design is printed in full color on a heavyweight 6-ounce pre-shrunk 100% cotton men’s/unisex t-shirt using an eco-friendly water-based ink process, in shirt colors as indicated. 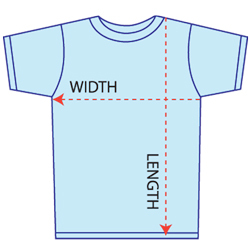 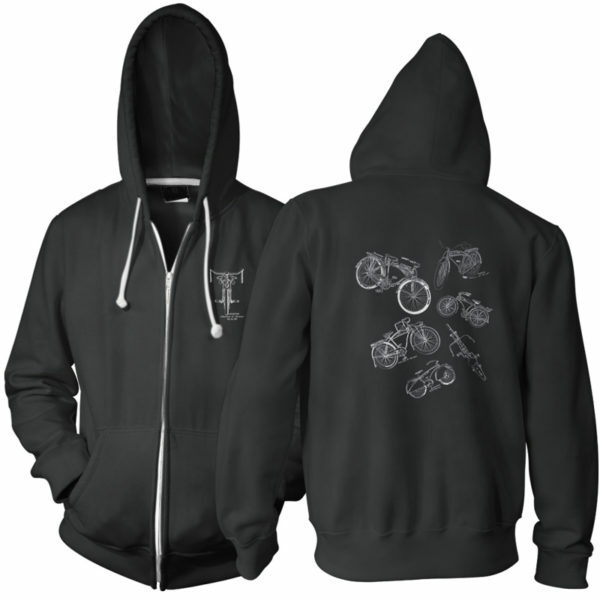 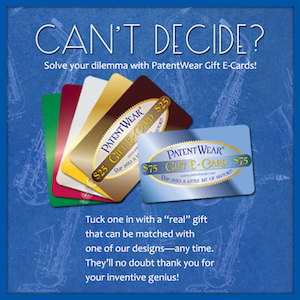 The large design is printed on the front only. 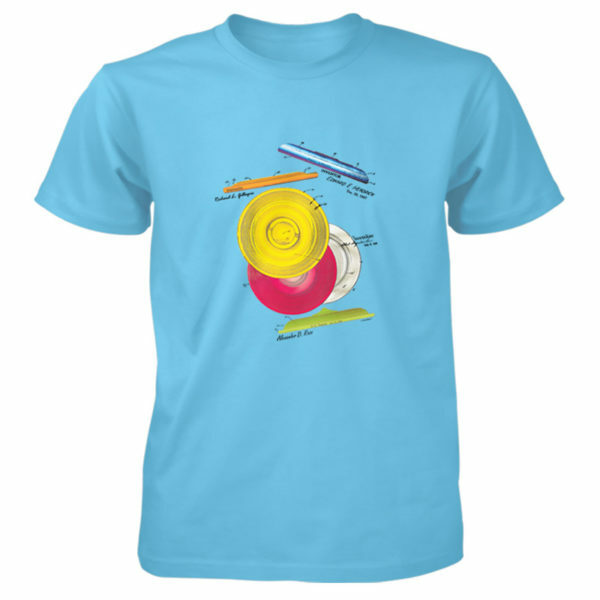 Some element colors in the design change slightly depending upon whether it is printed on a dark or light shirt.